My son brought home this adorable 4th of July shirt from preschool. Put a small piece of painter's tape on your paper or shirt. 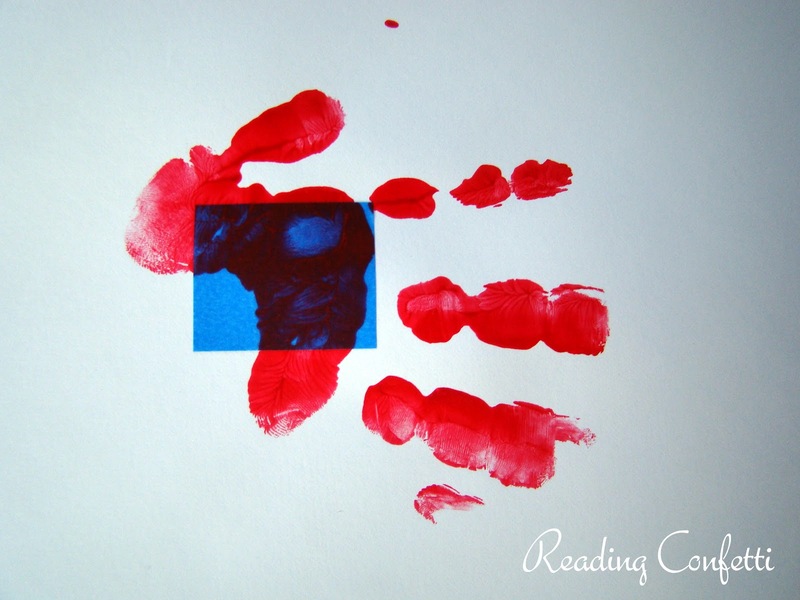 Use red paint to make a handprint with the upper palm covering the painter's tape. Obviously, if you're making a shirt you'll need to use fabric paint. 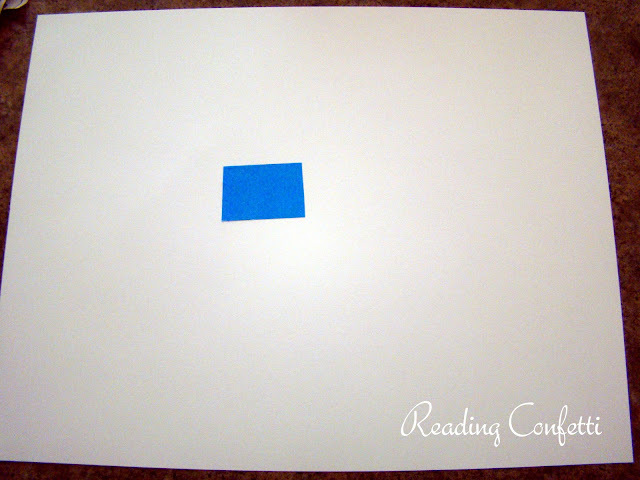 Remove the painter's tape and paint the rectangle blue. I used foil stars and number stickers. 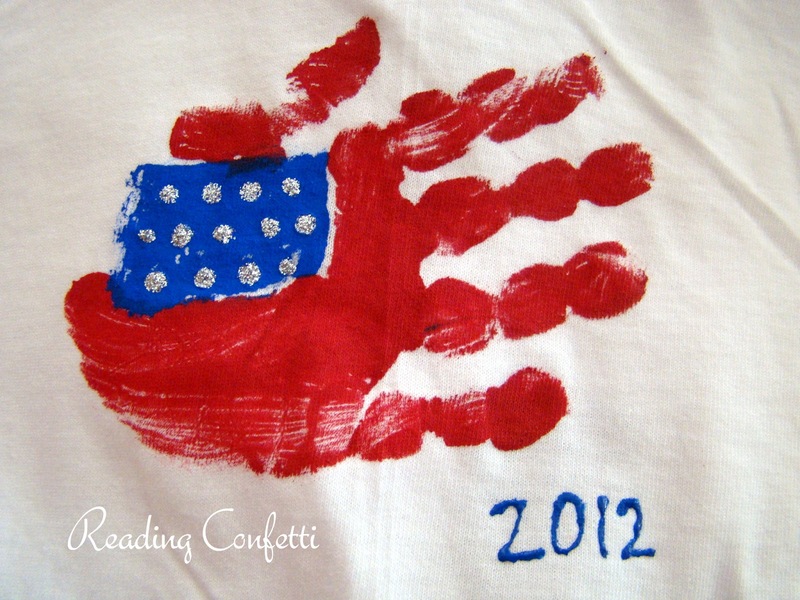 To make the shirt, his teacher made dots using silver paint and wrote out the year with blue fabric paint. 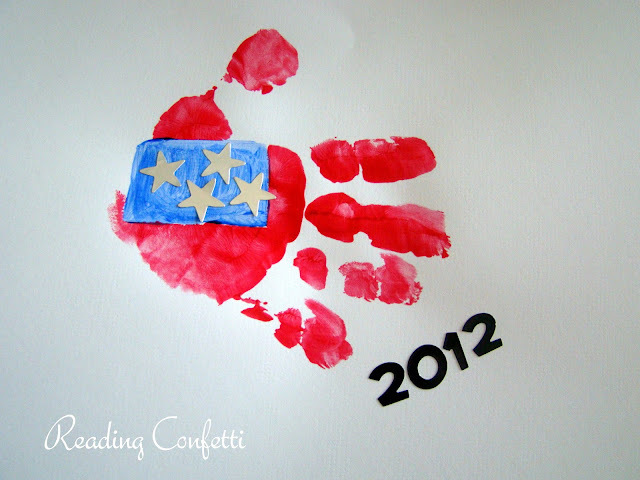 I think this would be cute to make in honor of the olympics too. 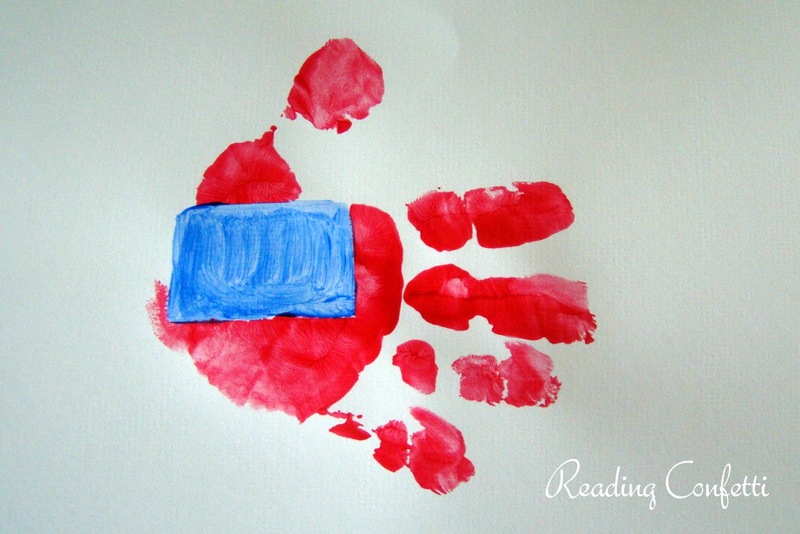 Check out our sprinkle fireworks to see our favorite 4th of July books! Love this idea! 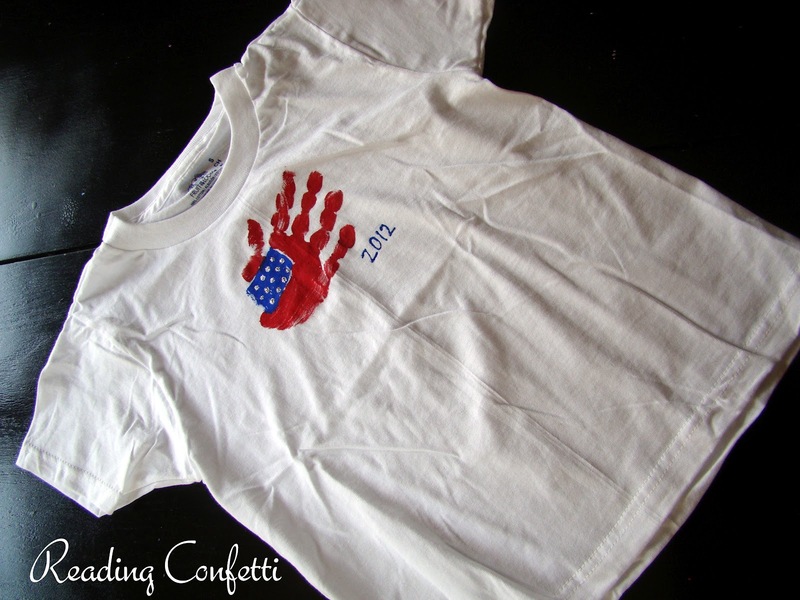 Hand prints truly can be used for everything :) Thanks for the details. Sharing this today on our Facebook page! So cute! Using the painter's tape is so smart! That is such a cute idea - I love it! You could do that for any celebration in any country! Oh my, this is soo cute! Just need to work out a way to do the Union Jack for a UK flag!! Thanks for linking up to the Sunday Showcase - hope to see you there again next week! So cute! I saw a handprint american flag on Pinterest, then I didn't read the directions, and then tried to remember and do it without looking. Needless to say, it didn't turn out so hot. I'll have to remember your tutorial and do it again.